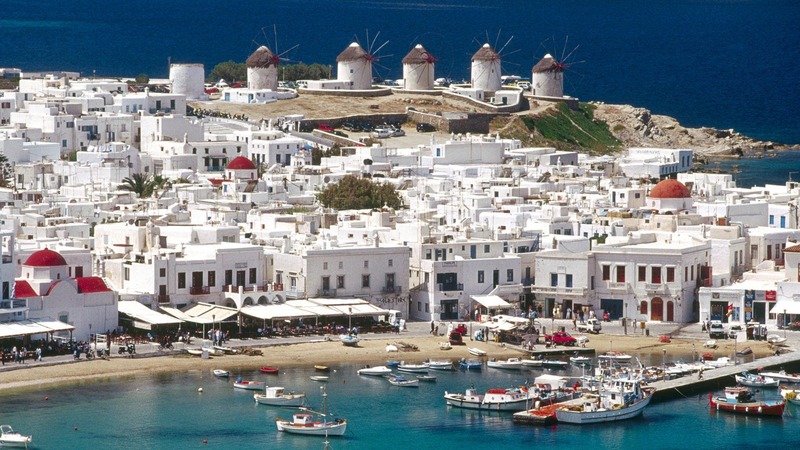 Home Other News Travel Five reasons you just have to travel to Mykonos for this summer! You have already started thinking about your summer vacations and you can’t wait to relax under the sun and dive in cool, transparent waters. You are looking forward to leave the office for a while and all the pressure and stress behind. You badly need some break – and it would better be a dreamlike one! There is a little, picturesque Greek island that can offer you all you need for the best vacations of your life. Mykonos has it all: big beaches with soft, golden sand, crystal clear waters, tremendous luxury and services, unique gastronomic experiences, amazing views and sunsets, a great number of 5 star hotels and villas that could cover any preferences and a strong, revitalizing sun. Don’t forget to bring your camera with you as there will be so many special moments you would like to keep in memory and share with your friends. Plus there are just very few places in the whole world that attract so many celebrities, VIPs and jet setters and a selfie with some of them would be a perfect addition to your photo album. As soon as you step on one of the famous Mykonos beaches, you will notice a lot of familiar faces around you. Supermodels, actors, singers, even sports stars, are just enjoying the sea and the sun among “common” people. 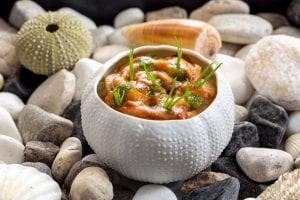 Gourmet cuisine is something you will definitely enjoy on Mykonos island. As a luxury destination favored by many VIPs, Mykonos has become a true gastronomy temple with a lot of gourmet restaurants to choose from. Famous international and Greek chefs with their dedicated teams prepare their exclusive dishes to satisfy both your palates and eyes. A luxurious environment, an artistic decoration and amazing views to the ocean will make your culinary experience unique. One of the reasons Mykonos island has become famous to the world is its crazy, non-stop parties. Having fun in Mykonos includes champagne showers, loud dance music, exotic cocktails, special rituals and events. 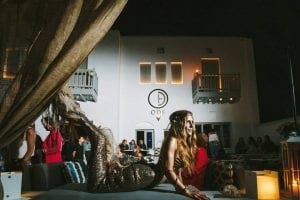 The best part is that these mythical parties don’t happen only during the night and not only at clubs but also during the daytime and at some of the most gorgeous villas of the island. If you wish to attend some of these parties it is highly recommended that you book your pass well in advance. It would be a good idea to use the services of one of the many exclusive agencies in Mykonos. You may already have heard about the astonishing Mykonian sunset – which you certainly shouldn’t miss. Chora Mykonos and some of the beautiful beaches, especially those on the west side of the island, offer splendid, romantic sunsets for you to enjoy while drinking a cocktail at your sun lounger, swimming in the sea or in a pool or eating in a classy restaurant. But sunset is not the only amazing view you can enjoy at Mykonos island. Traditional Cycladic houses with whitewashed walls and stone-paved narrow streets form small neighborhoods and villages where you can wander around and relax. 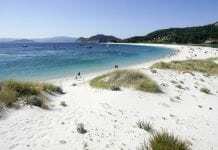 The coastal line offers different types of landscape, from sandy beaches to pebbled or rocky ones. 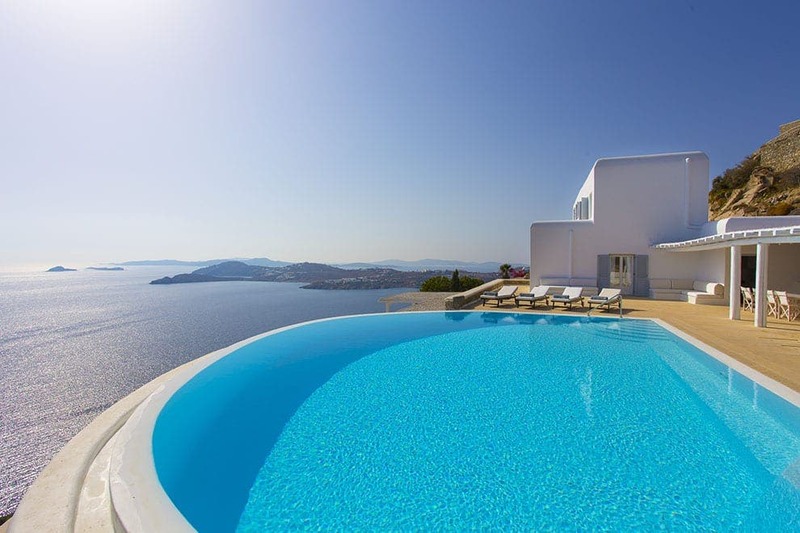 Most of the Mykonos Villas and hotels offer an endless view to the deep blue, Aegean Ocean. Hospitality is an ancient Greek tradition. Zeus, the king of all Greek Gods, was also the god of hospitality. Except the amazing services you can find everywhere on Mykonos island, local people will do their best to help you. If you choose a traditional tavern for your meal, you will notice the friendly atmosphere and the warmth of Greek people. Luxury 5 star resorts and hotels or lavish beautiful villas in Mykonos available for rent are all over island. They are elegantly decorated and offer all the amenities and services their guests could need. The only things you need to do are to choose the one that suits you, relax on your sun bed and express your wishes. Your hotel or villa staff will make everything possible to ensure you have the best summer vacations of your life! Many of the celebrities are interested in Mykonos Real Estate market or even better they had already bought their villa in Mykonos! 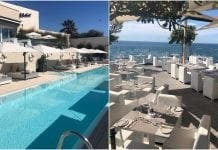 If you are a standard Mykonos traveler, you may want to check out the Mykonos villas for sale and who knows, maybe you’ll find your dream place you where searching for.